Episode: 13 - Future Mrs. Situation? Description: Ronnie tries to sort out his feelings for his pregnant girlfriend, and the roommates get the house ready for Mike to propose to Lauren. Description: Deena finds out the gender of her little meatball; Ronnie make a surprise visit; things get interesting when the guidos brings their significant others to Atlantic City to watch DJ Pauly D spin. Description: The arrival of Ronnie's baby mama, Jen, has the roomies on high alert as they try to celebrate Pauly's birthday in Atlantic City; the Staten Island love story takes a weird turn. Episode: 12 - Where's the Beach? 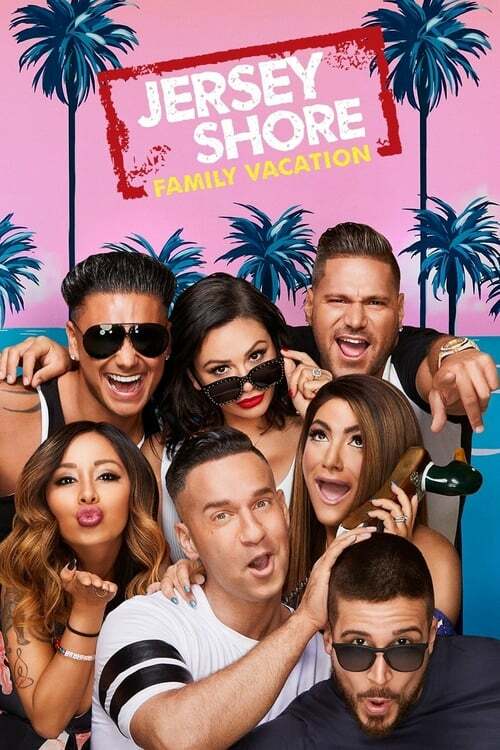 Description: The guidos set their sights on the shore for one more epic vacation before summer ends; Angelina has her sights set on Vinny; Snooki's ready to party like it's 2009. Description: Snooki spirals, Mike inspires, and Angelina and Vinny's contentious relationship reaches the point of no return. Description: Angelina and Vinny try to co-exist, Deena might not be the only meatball pregnant, and it’s déjà vu, when Ronnie takes a dip in the hot tub with Angelina’s friend. Episode: 15 - Pork Roll or Taylor Ham? Description: The Guidos are missing their meatball Deena, so they decide to kidnap her. And what happens when Ronnie invites Jewish Barbie to stay the night in his room? Description: It’s clap back season when the roomies go all HAM on the chooch who harasses them at the bar. Description: On the season finale of Jersey Shore Family Vacation, Deena and the roomies fight against cancer. The spiral squad debate the meaning of life. And a mysterious call from Jen has Ronnie taking on even more drama in his life. Description: While Nicole and Jenni try to repair their relationship, Vinny and Pauly take theirs to the next level; the guys end their Vegas trip with every little Guido's dream. Description: With Vegas in the rear view, the guidos take it back to 2009 with a trip to Seaside where it all began. Description: Back in Seaside, things get messy between Vinny and Angelina; the guidos enjoy a night in their old home.